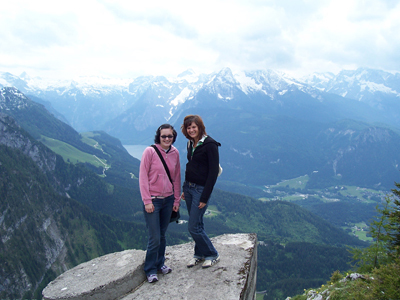 Among all the places you can study in Germany, Munich offers the best of all worlds: old world culture merges with all the excitement of a robust modern city that is home to Germany's top-ranked universities, and all less than an hour from the Alps! Because of its safe, small town feel, Munich is often referred to as a Millionendorf (a village with a million inhabitants) or even Italy's northern-most city. Because of its arts and culture offerings, its enviable geographic location, as well as high standard of living, Munich is continually voted the city in which Germans would most prefer to live. And because of its unique combination of the old and the new existing side-by-side, Munich has been rated one of the "Ten Most Dynamic Cities" of the world by Newsweek, as well as Monocle's "most liveable city in the world." 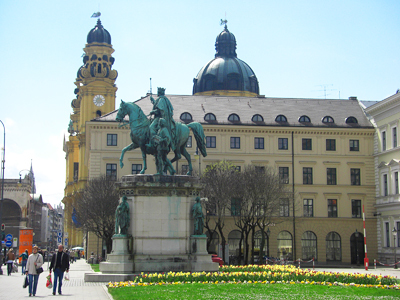 Founded by Henry the Lion in 1158 and ruled by the Wittelsbach dynasty for 700 years, Munich is most often remembered for the extravagance of Ludwig II and as the site of Hitler's rise to power. Artists, writers and thinkers who once called Munich home include Bertolt Brecht, Thomas Mann, Rainer Maria Rilke, Walter Benjamin, Wassily Kandinsky, Paul Klee, Max Weber, Werner Herzog, Rainer Werner Fassbinder, Hans Magnus Enzensberger and even the American author Jonathan Franzen (who is a JYM alum!). Munich also boasts 14 universities (two are the top-ranked in all of Germany) and 12 Max-Planck institutes, is home to the most modern engineering and medical research centers in the world, and one of the largest solar parks in Europe. Globally-known firms such as Allianz, BMW and Siemens are headquartered in Munich, and Bavaria has been called Europe's "high tech Mecca" by none other than Bill Gates himself. As if that alone weren't enough to explore, discover and enjoy, there's the Englischer Garten (the largest public urban park in the world), the lakes and mountains of Upper Bavaria, and of course the Alps all at your doorstep. Unlike any other city in Germany, you can have it all in Munich. 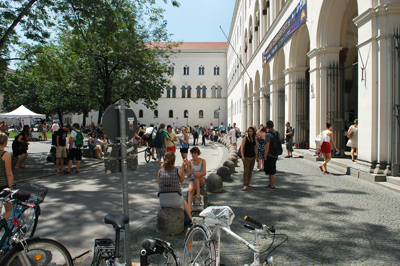 It's no wonder that the 2014 QS Best Student Cities Ranking placed Munich among the top ten best university cities worldwide, and the #1 university city in Germany in 2015! What's it like to live in Munich as a JYM student? 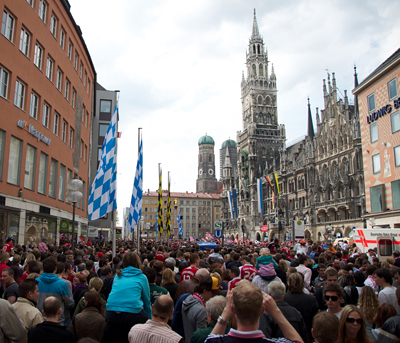 See what awaits you when you're Living in Munich!